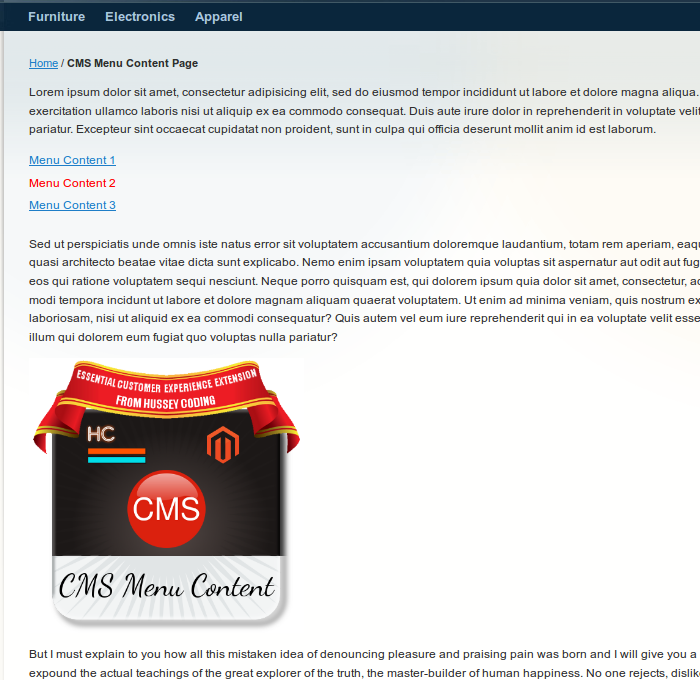 Hussey Coding is proud to announce the launch of its new Magento extension CMS Menu Content. 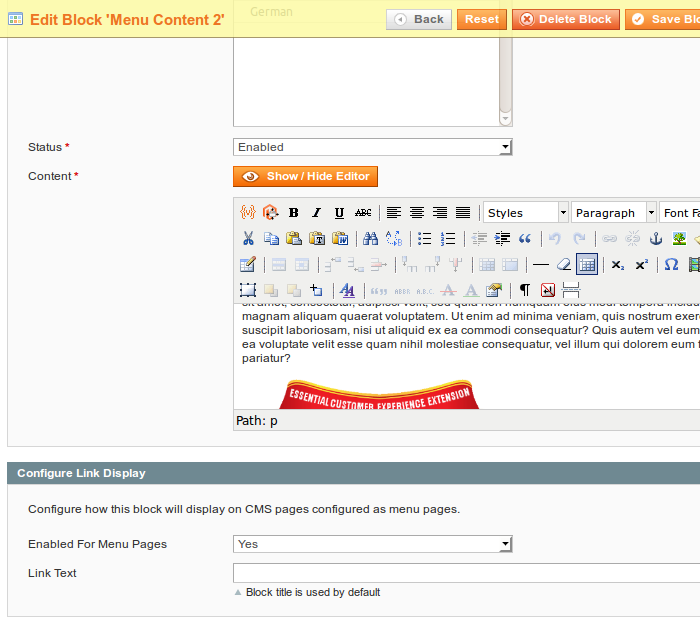 The extension greatly improves the readability of your CMS pages by adding tab style content switching to any CMS page. 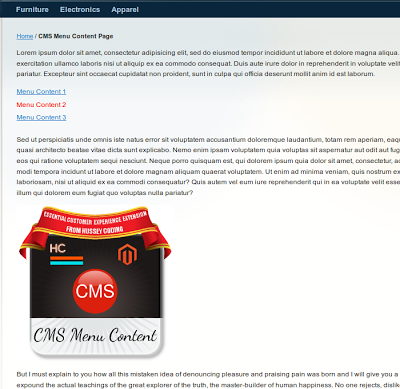 Building CMS pages in this way allows you to have a high level of content, over just a few pages whilst keeping information quick to find, and highly readable. CMS page admin settings display a list of all enabled static blocks, allows you to set their display order, and also style the related links that are displayed when viewing the page. 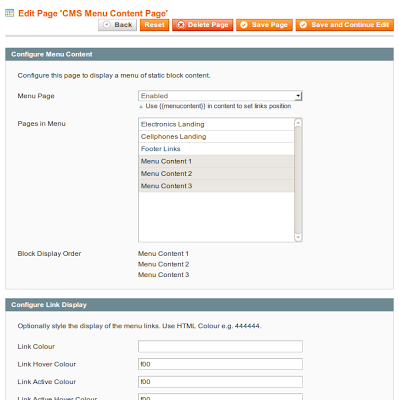 Static block admin settings allow you to set custom text to use for the link appearing on CMS pages also enable or disable the use of that block in CMS pages. The extension is compatible with Magento 1.4 and above. 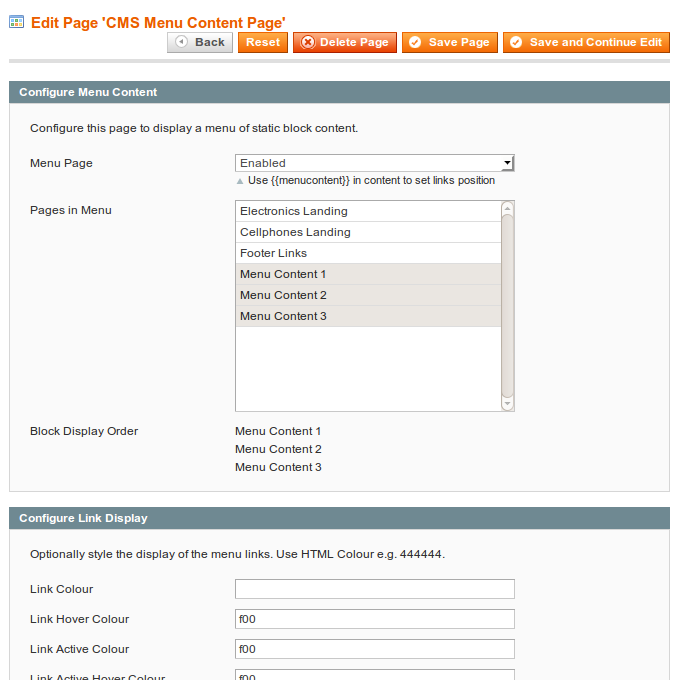 You can view a quick video demo of it here, view all Hussey Coding extensions including this one on Magento Connect, and you can purchase CMS Menu Content here.